I hope you all had a wonderful Easter! I think its safe to say I’m always a blubbering mess whenever the Easter holiday comes around. Remembering Christ’s sacrifice for us, and that he rose from the dead and still lives; I can’t help but feel overwhelmed with gratitude and love. 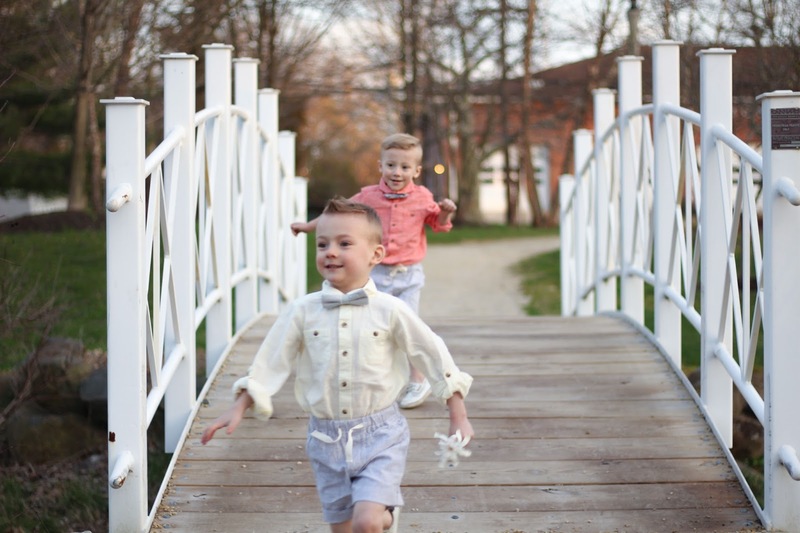 My husband captured these beautiful photos of the boys and I, that I will cherish forever. 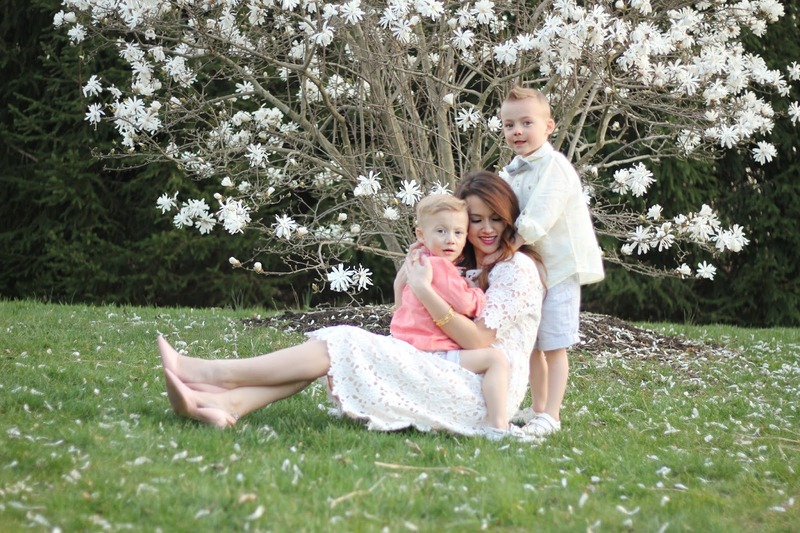 Watching their little faces light up all weekend celebrating Easter was so much fun. Friday we spent the day doing Easter crafts, baking cookies, and dying easter eggs. Then on Saturday we spent the day in Phillipsburg at the Easter Bunny train ride and egg hunt. Sunday was quiet, we went to church, took naps and had friends over for a big bbq. It was such a fun weekend spent with the people we love. I bought this darling white lace dress a little over a month ago, and was saving it for this special Easter Sunday. Its even more beautiful in person, and the fit is great. It’s the perfect dress for Spring and easily transitions to Summer. I hope you all love it as much as I do. Next Post Fab Finds Friday outfit for under $100! That lace dress is stunning! I love it so much on you! That dress is gorgeous! I love it. And I love your Instagram, your tulip obsession is just amazing. I wish I could have flowers around all the time. This is SO beautiful! And look at your adorable boys! They are getting so big! I looooovr that dress and the price point is awesome for Shopbop!